The eruption from the Kilauea volcano seems to have become a clear and present danger to Puna Geothermal Venture, a power plant owned by an Israeli company on the Big Island of Hawaii. The plant's owner, Ormat Industries, sent a soothing message to investors just a week ago, but now the lava has arrived. By Wednesday, molten lava erupting from the 22nd fissure caused by Kilauea's latest spasms had reached within 200 meters of one of Puna's 11 geothermal energy well pads, and burned down a disused building. However, following that development, Ormat says that based on the latest information, its station did not suffer physical damage. The lava approached the southernmost point of the station's boundaries and a disused building belonging to the University of Hawaii caught fire, it stated. The company also says it believes the lava's movement towards the station has halted and if anything, the molten rock now seems to be going in the other direction: the probability of it approaching the plant seems low, Ormat said. However, since the eruption is still going on, the company clarified, it is keeping its eyes open and will take whatever steps become necessary to safeguard its people, the station and the environment. Native Hawaiians have long expressed frustration with the plant since it came online in 1989; they say it is built on sacred land. Pele, the goddess of fire, is believed to live on Kilauea, and the plant is thought by certain elements to desecrate her name, the Associated Press reports. 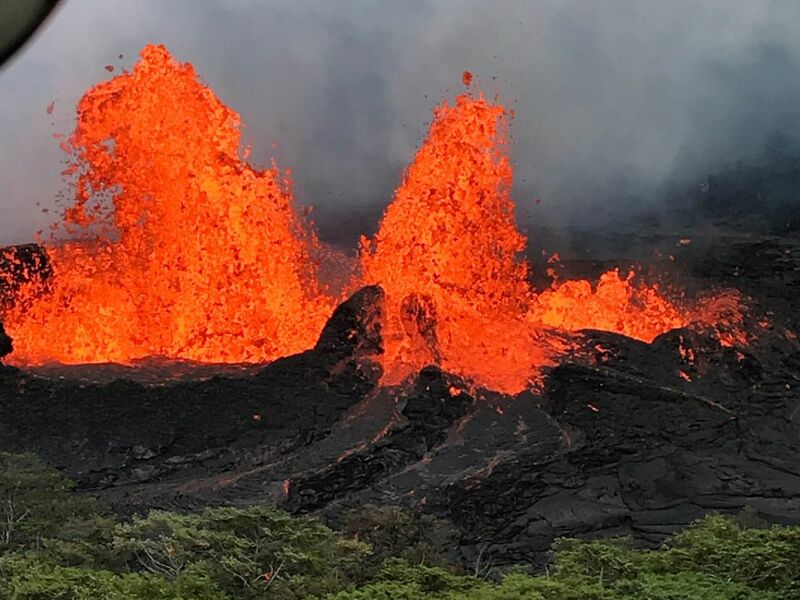 But first of all, the Kilauea eruption began to pick up steam a few days ago, creating a new hazard of "toxic steam" as the red-hot rock interacts with the Pacific Ocean; and secondly, the lava changed direction. Ormat, which is dual-listed on the New York Stock Exchange and in Tel Aviv (ticker symbol ORA), and Hawaiian officials acted well in advance of the danger to quench and cap Puna's producing wells. That means, first the wells were flooded with cold water to cool any magma-encouraged steam trying to escape, then three of its 11 wells were sealed with iron plugs to prevent uncontrolled seepage of toxic gases. Puna supplies 25% of the Big Island's power, and had been built smack in the rift zone of Kilauea. By nature of the beast, a geothermal plant is built in a place featuring geothermal activity, which in this case is connected to the active volcano now threatening the plant. Actually, Kilauea began erupting not on May 3 but in 1983. Its latest behavior is just an escalation of the eruption. Experts warn that the duration of the eruption in total, and this one, cannot be anticipated. In 2017, Puna generated revenues of $38 million for Ormat, and EBITDA of $20 million. It is responsible for 4.5% of Ormat's total geothermal power production worldwide. In Puna itself, Ormat owns a 63.25% interest and the minority interest is held by the Canadian investments fund Northleaf. 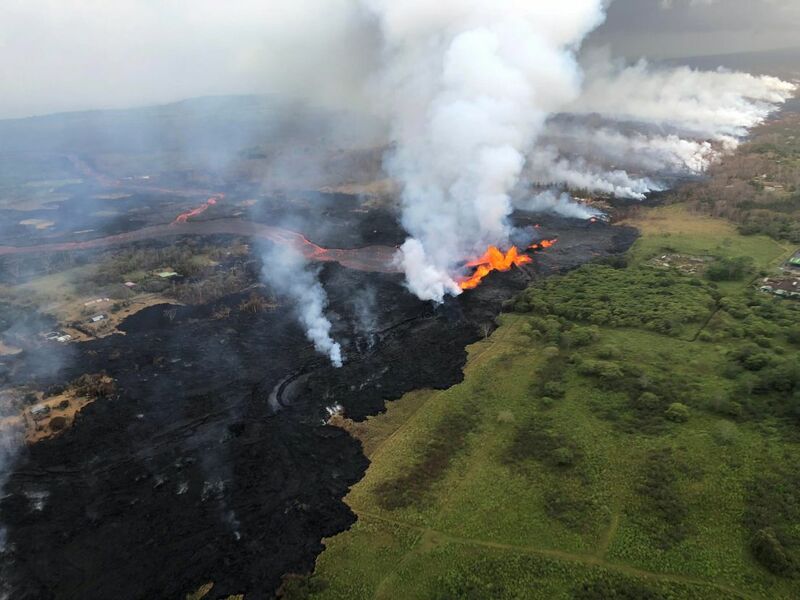 On a final note for energy investors: Puna carries a $100 million insurance policy against volcanic mishap and quake.